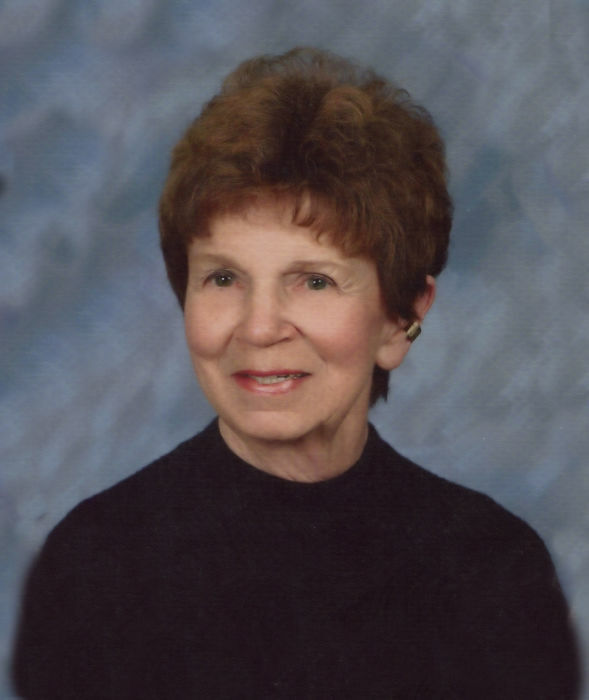 Obituary for Margaret Mary (Blossie) Thomson | Stone Funeral Home, Inc. Longtime East Jordan resident Margaret M. Thomson, passed from this life on August 2, 2018 at her home in Petoskey. Her family plans to remember and celebrate her life during a graveside service, which will take place at 2:00 p.m. on Thursday, August 9th at Sunset Hill Cemetery in East Jordan where she will be laid to rest next to her mother and father. Following the interment, friends are welcome to continue visiting with the family at, Blue Smoke, 101 Main St. East Jordan, MI 49727. Margaret’s life began on May 29, 1932 when she was born in East Jordan to Albert F. and Alice P. (Sackett) Blossie. She grew up in East Jordan and was a graduate of East Jordan High School. She went on to attend and was a graduate of Central Michigan College, where she majored in Music Education. Following her graduation she returned to East Jordan and began a decades long career as a teacher for East Jordan Schools. Her love of music was only matched by her dedication to her students and her community. She was active in numerous school musicals and community music festivals. In 2008 the East Jordan Chamber of Commerce bestowed upon Margaret the President’s Award, “for her community service, which exemplified the heart and soul of the East Jordan community”. In 2015 Margaret was honored as the first recipient of the Red Devil Award, “for her lifelong commitment to music education”. She also served for many years as Organist and Choir Director for the East Jordan Methodist Church and when needed, she played as a substitute organist for numerous other churches in the area. In her spare time she gave private lessons in piano and voice. She was also a longtime member of the East Jordan Lioness Club and a volunteer with the East Jordan Senior Center. Margaret is survived by her daughter Valerie Thomson of Sarasota, Florida, and by her son, Kim (Karen) Thomson of Petoskey and by her grandchildren, Kasey (Cameron) Davenport of Walla Walla, Washington, Emilly Davenport of Los Angeles, California, Jamie (Toby) Breakey of Petoskey, Tracy Thomson (Talor Martin) of Petoskey, great-grandsons, Jackson, Branden and Tyler Breakey. Also surviving Margaret is her brother-in-law Myron Poe and two nephews, Jeffery Poe and Albert Blossie. Margaret was preceded in death by her brother and his wife, Albert & Virginia Blossie, and by her sister, Katherine. She was deeply loved by her family and will forever be missed. Friends wishing to remember Margaret with a charitable contribution are asked to consider East Jordan Public Schools Music Department, P.O. Box 399, East Jordan, MI 49727.